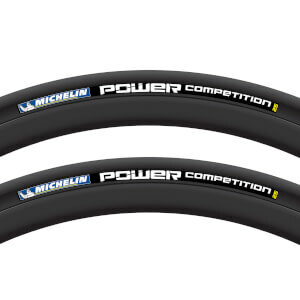 The Michelin Power Competition road tyre offers improved speed in competitions. Dedicated to road races with classifications, the Power Competition is made from the new Race Compound (which originates from technology used in Moto GP) to increase efficiency and speed. 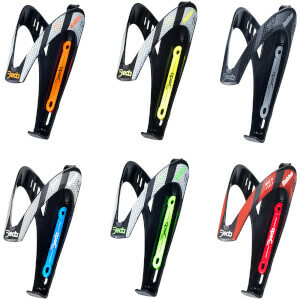 The compound also ensures low loss of energy caused by rubber deformation, without compromising on grip performance. The top of the tyre casing has reinforced Aramid Protek protection to offer +13% puncture resistance compared to the predecessor. Michelin found that the majority of riders change their tyres before they fail, so each tyre in the Power range has TWI (Tread Wear Indicators) to highlight when your tyres will need replacing. The Disc Brake Ready design increases the grip of the tyre to ensure optimal braking performance. Excellent tyre, great road feel, handles well. Big downside is next to no puncture resistance. Have had more flats with these than any other tyre. This is a really solid tire, and potentially one of the best tires for racing. It works well as a daily driver, but doesn’t wear as well as the Conti 4000. I road it for about 1500 miles, and still had quite a bit of wear based on the wear indicators, but starting experiencing an excessive amount of punctures over a three week period. Then I noticed that the tire was cutting on almost everything I hit. I have worn Contis down to the wear marks and would not start experiencing this type of cutting and flatting. Now the positive, these tires are fast. I usually race with Conti TT tires, but will be switching to these. They roll just as fast, but are far more durable that the TT tires. So overall, solid if not great training g tires, and outstanding racing tires. I haven't used them yet but they are nice and light. I run touring tires normally with these as my speed tires on new rims. I have been using michelins since the pro2 came out. These power competitions side wall are the weak part of the tire. Very weak, I have gone through 4 tires in a matter of 12 weeks. All had sidewall blow outs. The rolling is great but the durability of the sidewalls are the weakness of these tires. I'm going back to conti's 4000's. This tire is very good at grip and cloud. And it's cheerful because it's so light. Ran two sets of these tyres now for two summers racking up over 13,000KM, my current set currently sits at 7,300KM and the rear tyre wear indicator still hasn't disappeared and there are very little cuts in the tyres. In 13,000KM, never had a puncture using Conti race 28 tubes. Rolls very well and is up there as one of the fastest tyres as can be seen on the reviews. 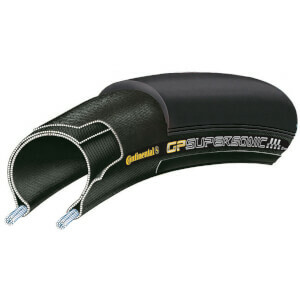 So to sum up, a faultless tyre with great speed, puncture protection and wear rate. Highly recommended. What a Difference a Tire Makes! I love these tires! The Conti GP 4000 II's are great tires, but the PC's rolling resistance is actually as advertised when compared to the Conti GP 4000's. I've gained an additional mile per hour--they are pretty fast! This will be my choice of tire for a long time if it passes the puncture test! Grippy, relatively lightweight, low rolling resistance. What more can you ask for? 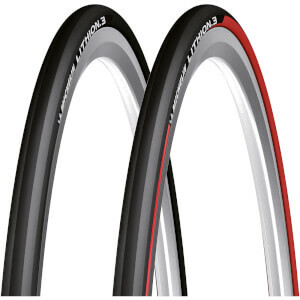 lower rolling resistance and enough puncture resistance enough best of clincher .